We are approved by the Internal Revenue Service as a 501©19 non profit organization; we are chartered in the State of California as a tax-exempt corporation, meaning that your dues and contributions are tax-deductible: Our members are performing or performed creditable service in the active and "indefinite" (aka retired/retained) duty, reserve and National Guard, PHS and NOAA officer corps components of our nation's uniformed services. ARA officers and directors are all unpaid volunteers. Congress Passes Hirono, Hatch Bill to Expand Long Term Health Care Coverage for Veterans WASHINGTON, D.C.- The U.S. House of Representatives unanimously passed Senators Mazie K. Hirono and Orrin G. Hatch's (R-Utah) State Veterans Home Adult Day Health Care Improvement Act (S. 324). This bill ensures that severely disabled veterans are able to receive adult day health care services at no cost to them by defining the program as a reimbursable treatment option through the U.S. Department of Veterans Affairs (VA). The Senate passed the bill in November 2017 and now goes to the President for signature into law. "VA coverage of adult day health care allows Hawaii veterans and their families to afford comprehensive services to maintain their quality of life and care for their service-connected conditions," said Senator Hirono. "By passing the State Veterans Home Adult Day Health Care Improvement Act, Congress affirmed the importance of expanding access to this care for veterans in Hawaii and across the country." The Yukio Okutsu State Veterans Home in Hilo is one of a few state veterans homes across the country that offers adult day health care services, which allow veterans in need of nursing home care to live in their own homes while receiving comprehensive medical, nursing, and personal care services. The VA currently covers about one third of the cost of adult day health care for eligible veterans at state veterans homes. The remaining expense of the program is paid for the facility or directly by veterans and their families, which significantly limits the number of veterans who can enroll. The State Veterans Home Adult Day Health Care Improvement Act is supported by the National Association of State Veterans Homes (NASVH), the American Legion, Veterans of Foreign Wars (VFW), Disabled American Veterans (DAV), Paralyzed Veterans of America (PVA), and AMVETS. meaning that your dues and contributions are tax-deductible. VALOR (Veterans Against Lifetime Oppressive Remuneration) is a Non-Profit. Retired members of the uniformed services of the United States (Army, Navy, Air Force, Marine Corps, Coast Guard, Public Health Service, and NOAA) are subject to a very unfair federal law that allows state courts to divide their retirement pay after a divorce with terms that are often more severe than the terms of any normal divorce. Visit the VALOR website. Military members have a unique retirement that requires them to be available for military recall their entire lives. Their former spouses have no such obligation but they can still receive a portion of retired pay from the uniformed service retiree for life even after the former spouses have remarried, This law reflects the situation when passed in 1982 that is no longer relevant. Many states have or are modifying their (civil/civilian) divorce system to no longer require lifetime payments to a former spouse. Out of 2.5 million retirees, more than 246,832+ retirees are affected by this unfair law everyday. Many of them are disabled as a result of their service to our country. Help modify the Uniformed Services Former Spouses Protection Act (USFSPA) to ensure fairness for our uniformed services retirees and to reflect the current realities of divorce in America. Your contribution will be used for legal fees, education to support reform/repeal, campaign and public awareness, recruitment and advertisement. Please help support our veterans in restoring their rightly earned and promised retired/retainer pay. VALOR (Veterans Against Lifetime Oppressive Remuneration) is a Non-Profit. Visit the website and GoFundMe page to support VALOR. Uniformed Services Former Spouse Protection Act (10USC1408). 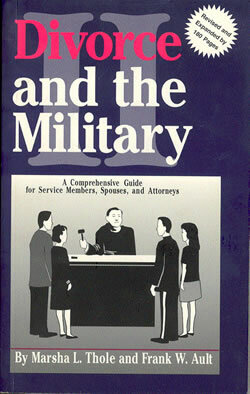 need to have a copy of Divorce and the Military II, $19.95 (includes S & H). Contact the American Retirees Association [a 501 (c) 19 tax exempt, non-profit organization], to order and/or to join. What you or your divorce attorney may not know about the USFSPA could hurt you significantly for the entirety of your retirement years ! The U.S. Supreme Court unanimously ruled Monday, in the case of Howell v. Howell, that a state court cannot offset the loss of a divorced spouse’s portion of a veteran's retirement benefits when that veteran waives retirement pay in favor of disability pay. The issue has been hotly debated for years. In 1991, a court awarded Sandra Howell half of Air Force veteran John Howell’s retirement pay when the couple was divorced. However, after becoming aware in 2005 that he was eligible for disability benefits, John, who had received a 20 percent disability rating from the Department of Veterans Affairs, elected to waive $250 of his $1,500 a month in retirement pay, which is taxable, in favor of $250 monthly disability pay from the VA, which is not taxable. That reduced Sandra's monthly divorce settlement by $125, so she went back to court, arguing that she should get half of what his retirement pay would have been if he had not opted for disability pay. Thanks to DFAS and the Freedom of Information Act, we are able to share the current toll USFSPA provisions are taking on uniformed services personnel, and by extension, the very national security that protects us from our foreign and domestic enemies. The 97th Congress passed USFSPA provisions to President Reagan and he signed it into law. Iowa Senator Harold Jepson apologized to me, in a Memo, for the harm his legislation (it was his version of the Bill that cleared the joint conference) has done to career uniformed services personnel and by extension to the national defense team we all rely on to protect us from our foreign and domestic enemies. (5) Is it lncome or ls it Property? The Uniformed Services Former Spouses Protection Act (USFSPA) was implemented ostensibly to protect deserving uniformed service member former spouses. Ironically, it created a class of service member casualties, larger than those it was designed to protect. The American Retirees Association (ARA) was founded in 1984 specifically to address the numerous inequities found in Title 10 USC 1408 et seq (USFSPA). ARA is a 501(c)(19) Veterans Support Organization (VSO), chartered in California, as Tax Exempt Corporation 1551226, with Federal Tax Exemption ID 33-0246743. Our field membership is comprised of all male and female members of the Uniformed Services, residing across the United States and around the world. Section §1408(c)(2), applies. If you can identify a resident you believe has committed or is committing this USFSPA related fraud, consider reporting their contact information to their Department of Revenue, Audit Bureau, (anonymously, if you prefer). We are confidant their case-by-case basis investigation results are confidential. 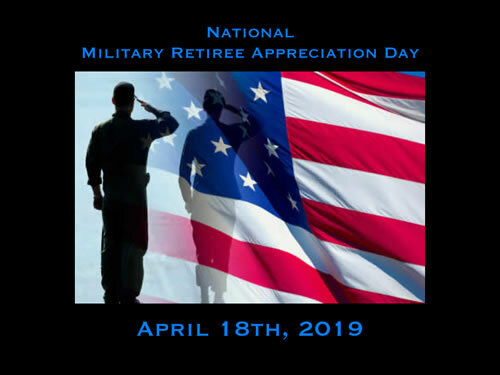 DISCLAIMER: The American Retirees Association provides general information on the issue of non-disability military retirement benefits as a divisible marital asset. It is with the understanding that this Web Site is not engaged in rendering legal, accounting, or other professional services. State laws relative to domestic relations vary and change frequently. If legal or other expert assistance is required, please consult with competent professionals. We understand that The US House of Representatives has sent subject HR299 to your attention. However I note with deep disappointment that subject S422 still quietly languishes in your chamber. We have discussed this issue: Putting all reasons to do otherwise aside, I am certain you will remember your S422 co-sponsorship and actively support both aforementioned restorative promises to those who served selflessly, never imagining they would be summarily set adrift, to suffer in silence. The key is to apply before filing for divorce. We are approved by the Internal Revenue Service as a 501©19 non profit organization, meaning that your dues and contributions are tax-deductible. Trying to make your way through the USFSPA maze? Need assistance in working with your attorney? Want to learn how to save money throughout your divorce process? Then consider the services of a degreed paralegal who can work with you and your attorney. Marsha Thole, co-author of Divorce and the Military II, has worked with clients and attorneys since 1994.